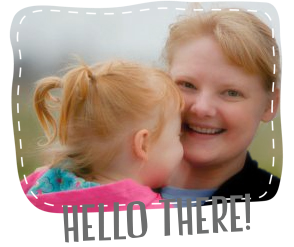 Welcome to the Sundance Dresden Pillow Blog Hop. 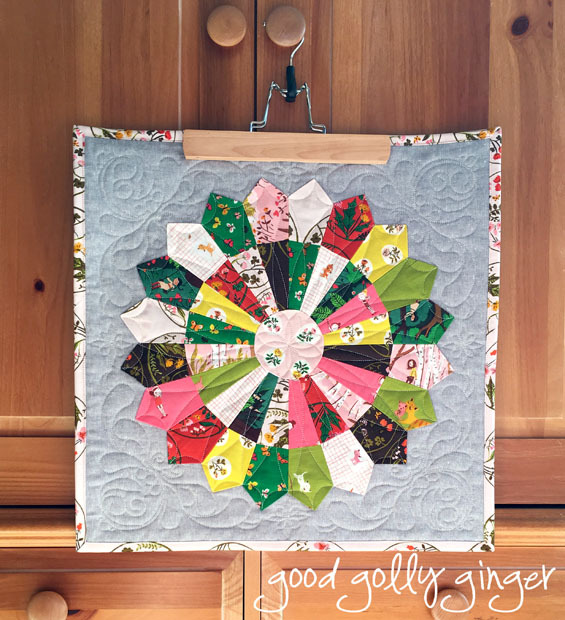 The lovely ladies at the Fat Quarter Shop are always thinking of the cutest quilty things! 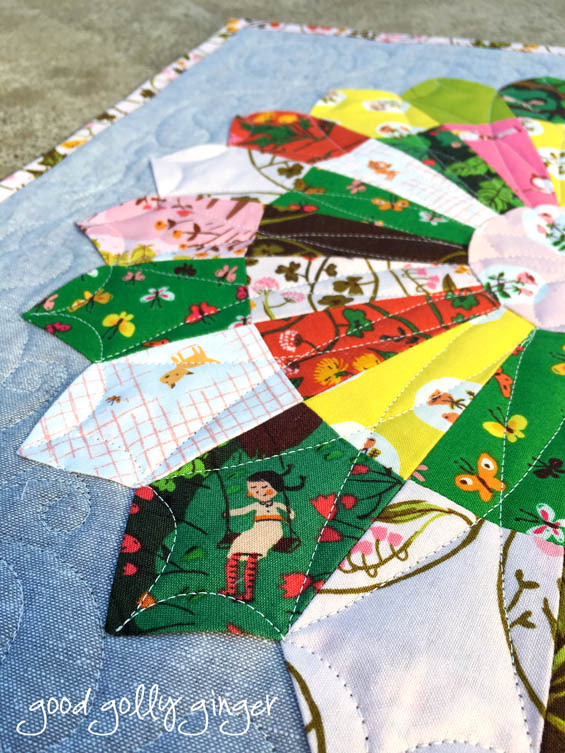 This adorable pillow (or wall hanging) uses the Creative Grids 18 Degree Dresden Plate Ruler, and it’s so much fun to make. I had no idea dresden blocks were so easy. I love how this pattern showcases two prints for each dresden blade. 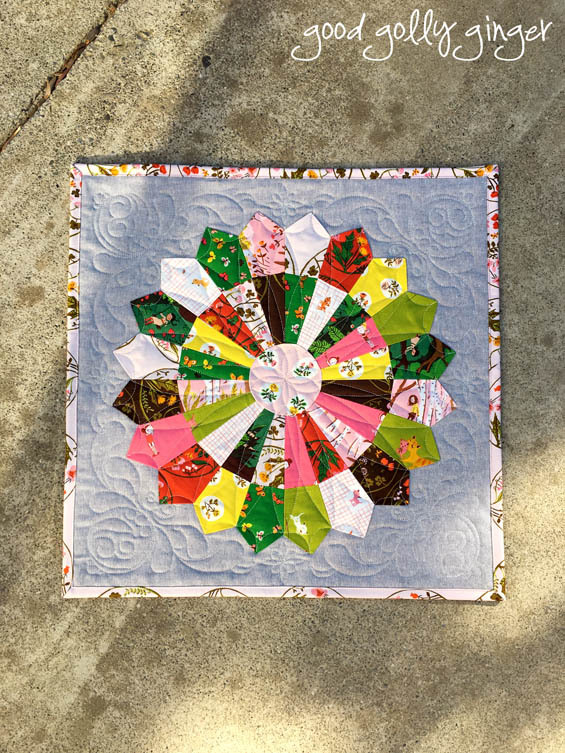 I used Tiger Lily by Heather Ross for Windham Fabrics. 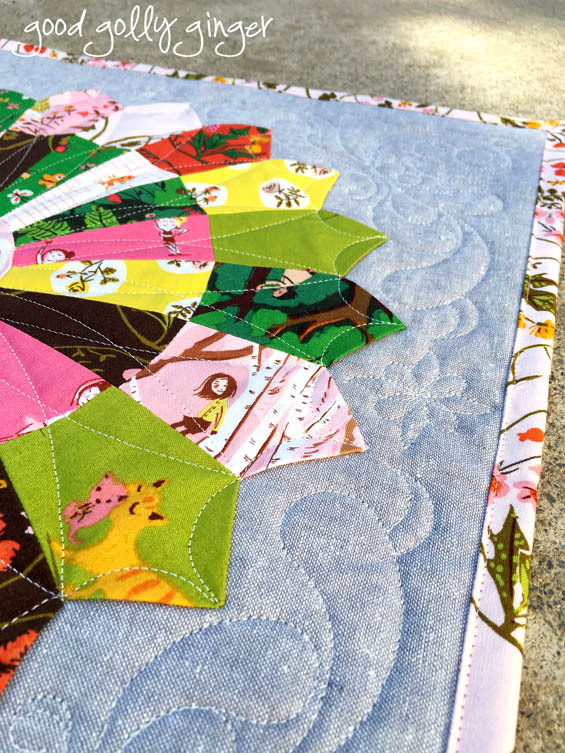 A layer cake was all that was needed for the dresden block. I also picked up some extra yardage for the binding. I love this fabric line! Just look at those frolicking and dancing girls and adorable forest creatures. Perfect for my house! My favorite dresden petal is the swinging girl. Reminds me of my little gingers. I combined ruler work, computerized quilting, and free motion quilting for this wall hanging. I love how it turned out! This pillow pattern is a low-cost PDF pattern (link below) from Fat Quarter Shop, and it is so worth it! You will also need this dresden plate ruler. Kimberly made a great video (link below) explaining how to use this wonderful ruler. 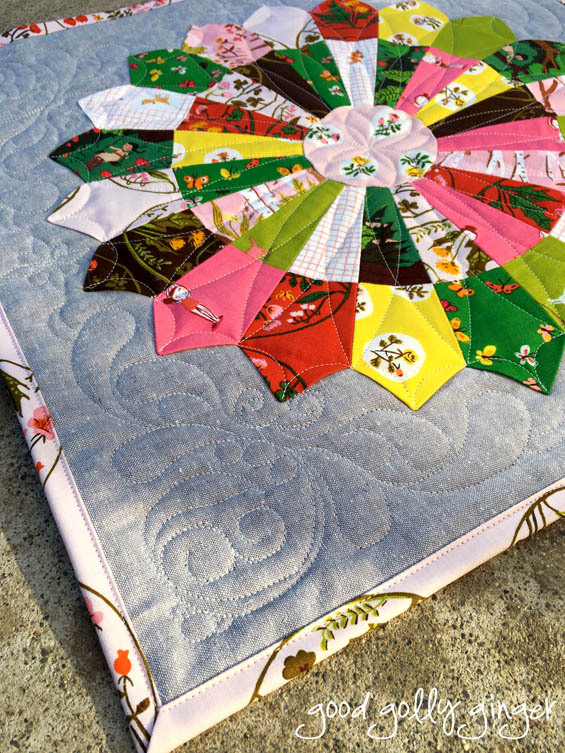 That's a beautiful quilting pattern - really compliments the pattern! That is so fantastic! I don't usually go crazy for dresdens, but this is such a bright and modern twist on an old classic. Wonderful work, thank you for sharing! I think the swinging girl is my favourite part too! So cute! What a great Dresdin! I have loved this line since it came out! You have made a wonderful pillow! It is Adorable!